It can be super annoying. Do you have spots on your upper back? Around your neck or even on your chin? Turns out, your scarf could be the culprit of your acne. Just think... you wear your scarf day after day when the weather gets cold. Do you wash it? Probably not. Do you fling it over our chair and in your handbag. Definitely, yes. So, imagine all the dirt and grim that builds up on it. 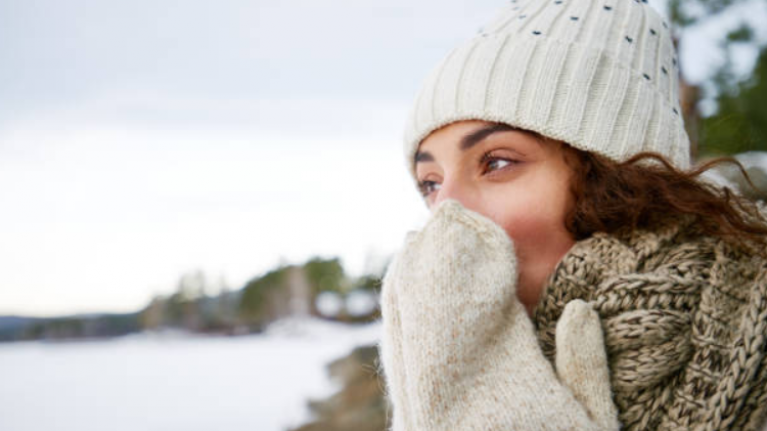 Pamela Marshall, Clinical Aesthetician and Co-Founder of Mortar and Milk told Women's Health: “We cling to our scarves to keep us warm in winter. We also squash them into bags and carelessly throw them around. We never even thought it could be our scarves of all things that is giving us spots. When you think of it, all the dirt, sweat and worn off makeup is living on it... and germs can stay on fabric for up to 90 days. YUCK.